A fairly minor update was released today for Google Maps on Android. 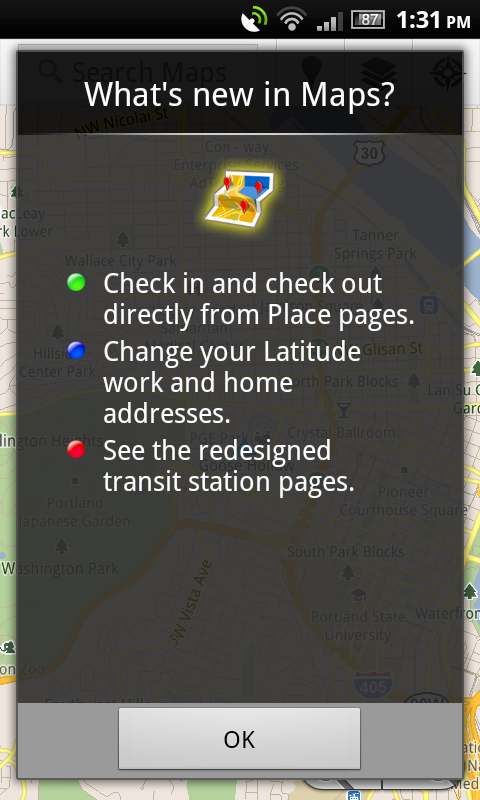 You can see exactly what was changed in the screenshot above – looks like Latitude and new check features with some transit support tossed in. More polish, which we love. Cheers interstellarmind, Edgar, and Adam!